Panama Canal Zone: Japanese Peruvians en route to U.S. Internment Camps. April 2, 1942. U.S. Army Signal Corps Photo. National Archives. Courtesy of National Japanese American Historical Society. What would you do if this happened to you? Former internees have mostly come to peace with what they went through, though the government has never openly admitted that it commited human rights violations. We say we never want this to happen again, but it is happening now to other people. Do we need to go through it ourselves before we can understand that this was a crime? From December 1941 to February 1948, the U.S. government orchestrated and financed the mass abduction, forcible deportation and internment of 2,264 men, women, and children of Japanese ancestry from 13 Latin American countries. Stripped of their passports en route to the U.S. these Japanese Latin Americans (JLAs) were declared “illegal aliens”. The U.S. planned to use them as hostages in exchange for Americans held by Japan. Over 800 JLAs were included in two prisoner of war exchanges between the U.S. and Japan. The remaining JLAs were imprisoned without due process of law in U.S. Department of Justice internment camps until after the end of the war. Most of the incarcerated JLAs were forced to leave the U.S. after their release from camp. However, since many were initially barred from returning to their home countries, more than 900 JLAs were deported to war devastated Japan. Over 350 JLAs remained in the U.S. and fought deportation in the courts. Eventually, about 100 were able to return to Latin America. It was not until 1952 that those who stayed were allowed to begin the process of becoming U.S. permanent residents. Many later became U.S. citizens. Japanese Latin Americans were subjected to gross violations of civil and human rights by the U.S. government during WWII. These violations were not justified by a security threat to Allied interests. Rather, it was the outcome of historical racism, anti-foreign prejudice, economic competition, and political opportunism. The US Congress passed the Civil Liberties Act of 1988. This granted an apology and $20,000 compensation payments to US citizens and legal permanent residents of Japanese ancestry. It also established an education fund. In 1996, a class action lawsuit, Mochizuki v. USA, was filed on behalf of all Japanese Latin Americans who had been denied redress. It resulted in a settlement agreement granting an apology and $5,000 compensation payments in exchange for termination of lawsuit. A provision in the agreement allowed for pursuit of legislation for equitable redress in the US Congress. 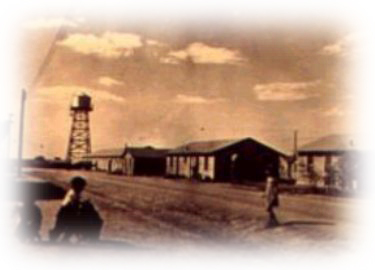 While most Japanese Latin American internees accepted the Mochizuki settlement, some rejected the offer and continued litigation in the US courts. Four other lawsuits were filed and eventually dismissed. Unable to find justice in the US courts, a petition on behalf of the three Shibayama brothers and the Japanese Peruvian Oral History Project was filed with the Inter-American Commission on Human Rights (IACHR)in June 2003. The petition seeks to hold the US government accountable for the ongoing failure to provide redress for war crimes and crimes against humanity. After three years, the IACHR has determined that it has jurisdiction over this petition and is deliberating the facts of the case. For more information on CFJ's role in the redress history, please see the What We Do section. 1974 First legislative plan for redress proposing individual payments to all persons who were interned. Plan initiated by Seattle Evacuation Redress Committee under the aegis of the Seattle JACL Chapter. Aleuts and Japanese Latin Americans were included in the Seattle plan. 1981 Commission on Wartime Relocation and Internment of Civilians holds hearings in nine major cities, recording testimonies from over 750 witnesses, including several Japanese Peruvian internees. 1988 PASSAGE OF CIVIL LIBERTIES ACT that mandated an apology, payment of $20,000 compensation payments and the establishment of the Civil Liberties Public Education Fund. 1989 The Department of Justice adopts rules for the enforcement of the Civil Liberties Act of 1988, whereby Japanese Latin American internees are denied eligibility because they were "illegal aliens" and not US citizens or permanent residents at the time of internment. 1991 Japanese Peruvian Oral History Project established in the San Francisco/Bay Area to preserve family histories, educate the public about the JLA wartime experience and to provide redress information and referrals to former JLA internees and their families. agreement in 1999, despite likelihood of insufficient compensation funds. 1998 Filing of the SHIMA v. RENO (USA) lawsuit by one of the original named plaintiffs in the Mochizuki lawsuit who rejected the settlement agreement. This lawsuit seeks equitable redress under constitutional and international law. 1999 Filing of the SHIBAYAMA v. RENO (USA) lawsuit on behalf of three JP brothers who opted out of the Mochizuki settlement, charging the US government with crimes against humanity and continuing violations of US and international law. 2000 Congressman Xavier Becerra (CA-D) introduces "The Wartime Parity and Justice Act" , comprehensive redress legislation which would provide proper redress to Japanese Americans and Japanese Latin Americans who have been denied an apology and compensation payments and to reestablish the Civil Liberties Public Education Fund. 2003 FILING OF OAS PETITION on behalf of the Shibayama brothers with the Inter-American Commission on Human Rights (a body of the Organization of American States), seeking to hold the US government accountable for the ongoing failure to provide redress for war crimes and crimes against humanity. 2005 ASSEMBLY ON THE WARTIME RELOCATION AND INTERNMENT OF CIVILIANS (AWRIC) an historic public testimonial event held on April 8 & 9, 2005 at Hastings College of the Law in San Francisco, California. This event served to document and preserve the little known WWII stories of immigrants of German, Italian and Japanese ancestry (in the US and from Latin America) as well as the experiences of the Arab, Muslim and South Asian communities who are being scapegoated as "the enemy" today. 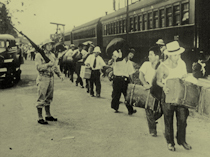 2006 Senator Inouye and Congressman Becerra introduce "Commission on Wartime Relocation and Internment of Latin Americans of Japanese Descent Act" to investigate facts and circumstances about the relocation, internment, and deportation of Latin Americans of Japanese descent. 2007 Senator Inouye and Congressman Becerra reintroduce Commission Bill hopefully with a new Senate and House of Representatives, this bill will move forward. 2007 S. 381 passes Senate Committee on Homeland Security and Governmental Affairs Committee on June 13, 2007.